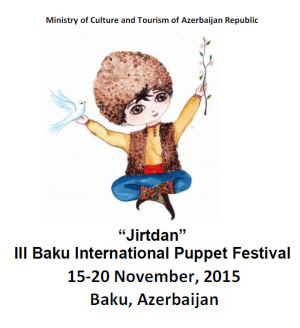 The Ministry of Culture and Tourism of Azerbaijan Republic is holding the 3rd Baku International Puppet Festival on 15-20 November 2015. The deadline for applications is on 1 July 2015. Please feel free to disseminate this news to your contacts.